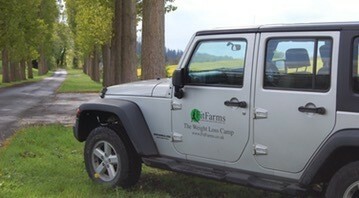 FitFarms, the residential weight loss and fitness camp, is based in the Peak District and on Exmoor . Fitfarms focuses on intensive, natural and informative weight-loss programmes just for women. “We focus on nutrition, physiology, psychology and alternative exercises such as Tai Chi and Indian head massage”, says Julie Brealy, health manager at FitFarms. In order to maintain long-term weight loss, it is vital you listen and understand your body. At FitFarms a dedicated team of health and nutrition experts run informative workshops, helping guests to make significant changes to their lifestyle. Guests enjoy the scenic surroundings while hiking, cycling and jogging. 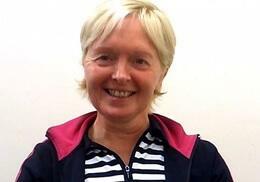 All exercise classes are combined with psychotherapy sessions and nutrition workshops run by former daily telegraph nutritional therapist Julia Fitzgerald. Working closely with Mikael, the FitFarms chef, Julia has created a delicious menu to inspire you for when you return home. And although FitFarms has successfully helped hundreds of people lose weight, it’s also great for women who just want to kick-start a healthy lifestyle. “Most women come on their own but we also get mums and daughters or friends for a week of getting fit and girl power” says Stephen Cole, MD of FitFarms. FitFarms’ trial exercise classes – lets women try out everything from hiking to line-dancing, to see which workout routine is best for them. The average weight loss during seven-day FitFarms retreat is 8lb and 3oz but the record stands at 19lb 7oz.